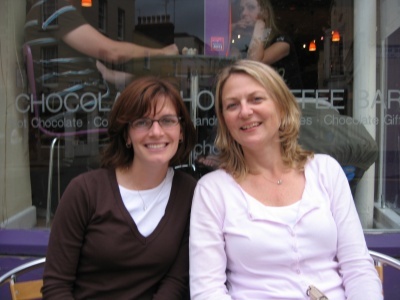 Erynn and I were truly blessed to be able to live in Bristol and meet such great people. We were able to see most of Europe and gain a different perspective on our existence. The experience has been something neither of us wish to forget. Most of the following pictures will probably not mean anything to anyone except us. It's kind of funny how you settle into living in a different place. Our sphere of existence centered on a couple favorite places and activities. 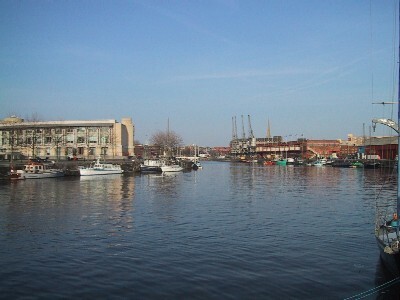 I ran around town and took these pictures on the last day we were in Bristol. Erynn and I headed back to Bristol in August 2006 to visit with friends and attend the 2006 World Rowing Championships in Eton. I took the opportunity to update and add a few photos to this page. It's funny what you remember or become fond of once you leave. If you'd like to see the photos from our 2006 trip click HERE or from when my parents came to visit in 2002 click HERE. Aside from Erynn, these are the guys I spent the most time with while I was in Bristol. 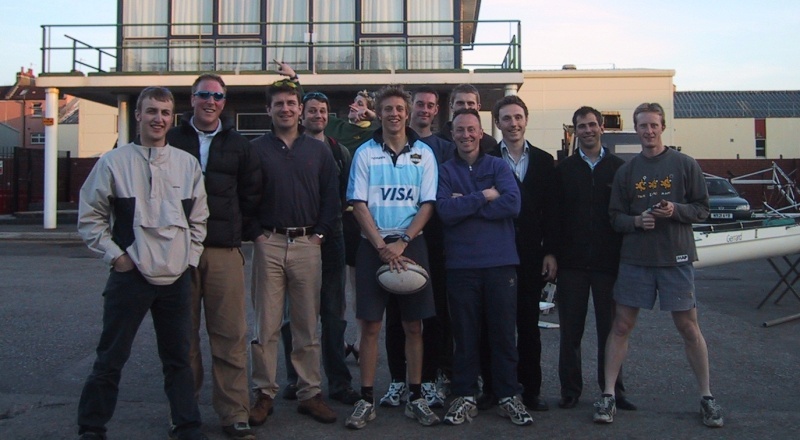 This is the City of Bristol RC Men's Senior Squad the day after the big Head of the River Race. We all trained together for seven months for this one race. We finished higher than we did the previous year, but not as high as we hoped. Still, the best-ever finish for the club, and something I am very proud of. These guys put up with my crazy ideas and lack of organization and allowed me to be captain. It was never quite a smooth ride, I think we all learned some things about rowing and had a good time. And here is who kept Erynn sane during here stay in Bristol. 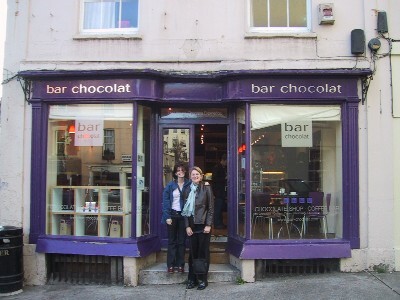 Jackie and Erynn formed the nucleus of the "American Nurses in Britain Support Group" that met at Bar Chocolat every time someone needed supporting, which was often and appreciated. DO NOT EVER STAY HERE! 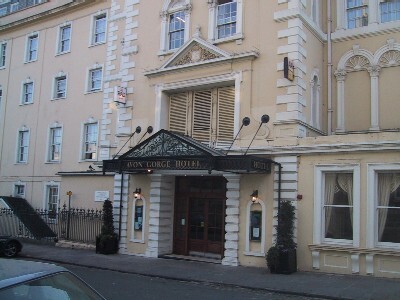 The Avon Gorge Hotel occupies one of the best locations in Bristol overlooking the gorge and the beautiful Clifton Suspension Bridge. The problem is that the place is an absolute dump with poor management. 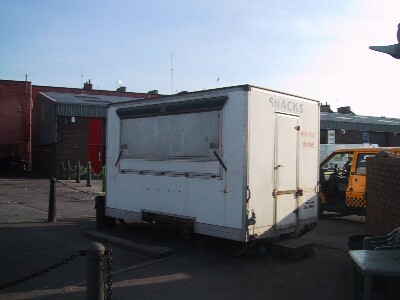 When we moved to England, my company put us up here while we searched for a flat. Noise, dirt, and rude staff is just the starting point. One night, our bathroom ceiling fell down!!! We'll leave it at that for now. But I put the photo here, because this is where it all started for us. Here is a picture of our flat on Brandon Steep (the black door). It was a bit small by American standards, but we managed quite well. Also, there is a shot of the rear of the house, which is the yellow one an top of the hill. Hence, the street name "steep." Eating in Britain is completely different than the US. It's hard to explain other than it is different. So Erynn and I placed a premium on finding eating establishments that we could get good service and a good meal. 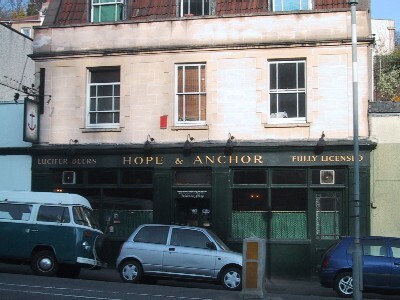 Above is our favorite curry house, the Brunel Raj, and our favorite pub, the Hope and Anchor (affectionately called the Dope and Wanker). Pizza Express has to have the best thin crust pizza in the world. I usually dragged Erynn there whenever possible. There is a Pizza Express in Clifton and just off Park Street (shown). Nando's offered us the closest thing we could get to an American dining experience. They asked if you wanted ice in your pop. There were unlimited refills, and the food was amazing and good value for money. Shocking, I know. I also developed quite a taste for the Subway Melt sandwich. We usually ate at these two places once a week. A Cozihna is awesome. 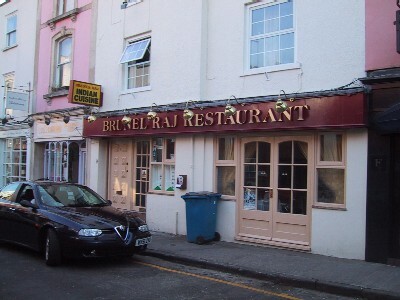 It's this little Portuguese restaurant off the beaten track owned and run by Ian MacFarlane. He's this nice old man that makes some great food. Take a friend and order the Cataplana and some vino verde. You will not be disappointed. 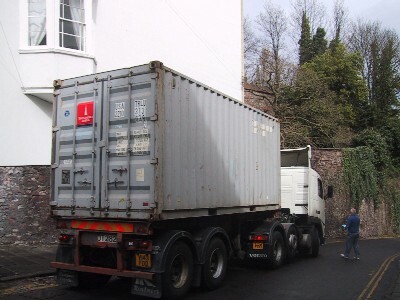 The address is 40 Alfred Place, Kingsdown, Bristol BS2 8HD. The GPS coordinates are N51 27.694 W2 35.956 so you don't have any excuse not to find it. So go! Here is the beautiful Clifton Suspension Bridge, which was completed around the time us Americans were fighting our Civil War. 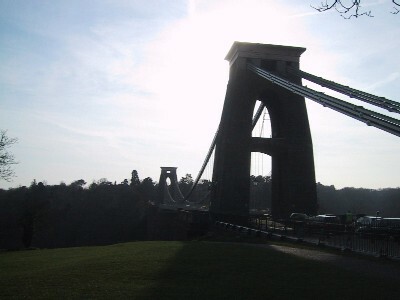 The bridge was designed by Bristol's favorite son, Isambard Kingdom Brunel, who was one of the most famous Victorian engineers. Brunel is attributed with some of the most amazing engineering feats of his time. Many of them are impressive to this day. 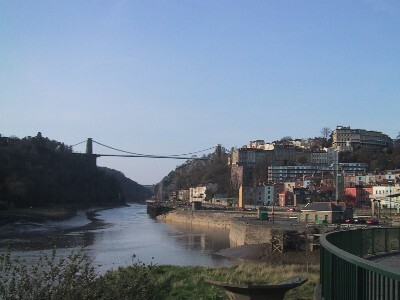 Here is the "postcard shot" of the suspension bridge and Clifton to the right. Some days the view is actually quite stunning. Here is the Bristol Cathedral and College Green where all the skater punks hang out. The cathedral was about 500m from our house, and they apprently had a bell ringing society. The bell ringing society liked to practice their bell ringing very early in the morning on weekends. Even earlier than rowers wake up if you can believe it. We hated the bells. We spent a lot of time walking around the city center and up the hill on Park Street. Both places were really close to our house and were the center of action for the city. At the top of Park Street you can see one of the main building for Bristol University. Park Street is where many of our favorite restaurants were located. 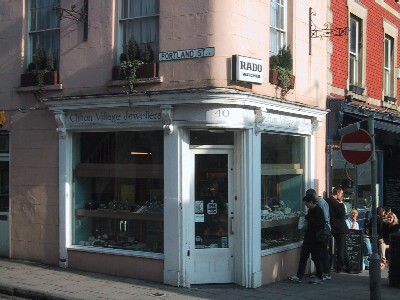 Here is our favorite jewelry store, which happened to be directly across from Bar Chocolat. This location gave Jackie and Erynn ample opportunity to plot ways to spend their husband's money. If I wasn't rowing on the water or on my ergo in my living room, I was usually at the Empire Gym. It's owned by Andy an ex-Commonwelth champion and is a weight lifter's gym, not a health club. It's in a converted church, and you can pray to the god of free weights everyday. Ash and I loved this place, and it is the home of the Empire Circuit (pdf). 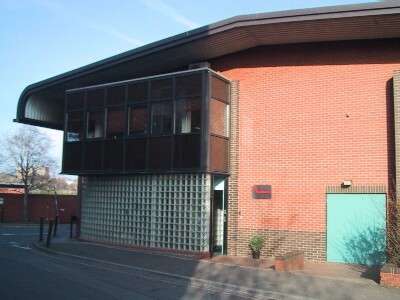 To further the rowing theme of this page, here are pictures of the lovely boathouse and the shell racks in front (photos added 2006). 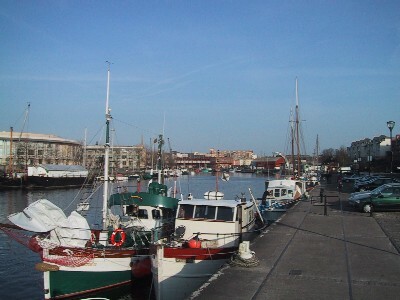 Here is a view of the rowing club docks taken from the boathouse that are shared with the Bristol Marina to the right. I particularly like the mulit-coloured homes above Hotwells Road in the background. And here is part of the floating harbor where many a Wacky Race occurred! From the boathouse I walked around the docks taking a few photos of stuff I saw every day while rowing. 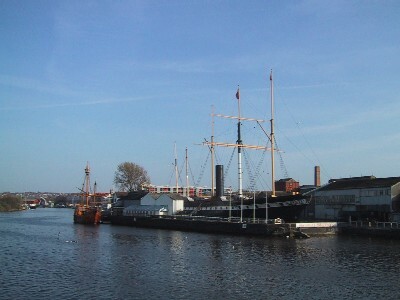 One of the most striking and interesting is the SS Great Britain, which was the first steam ship able to cross the Atlantic. It was thought previously that ships couldn't be built large enough to carry enough fuel to make the trip, but Mr. Brunel proved everyone wrong. There are a couple more photos from when my mom & dad came to visit. The little wooden ship next to the ss Great Britain is the Matthew, which set out from Bristol in 1497 and discovered North America. Across from the SS Great Britain are Aardman Studios, which are famous for the Wallace and Gromit short films and Chicken Run movie. If you haven't seen them you are missing something special. These two establishments are responsible for all the girth (around the bellies!) of the men's team. 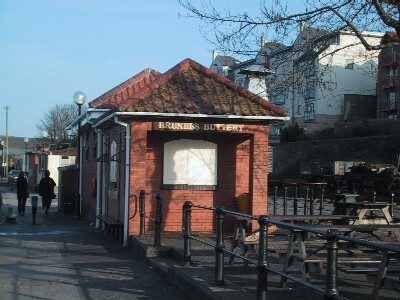 The Buttery and Gloria's burger van are the place to be between practices for a sausage roll, which are basically lumps of lard coated in butter with a little bread. And if you're lucky they washed their hands before the handed the sandwich to you. When you're hungary you'll eat anything believe me. 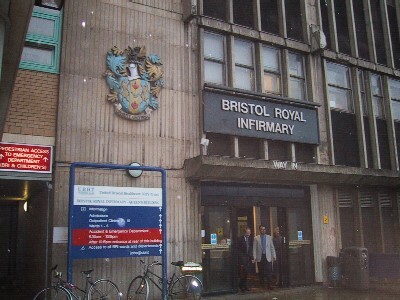 Erynn worked at the Bristol Royal Infirmary. Not very pleasant if you're a patient, and my only advice to you, the reader, is to never get sick in the UK. No matter what the politicians say, socialized medicine is a bad idea. 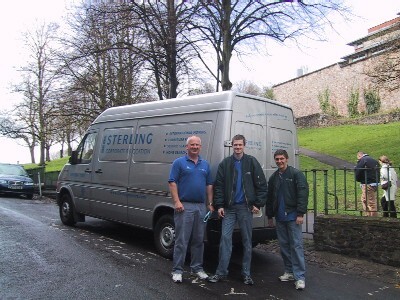 Here are the pleasant men from Sterling International that packed all of our household belongings into a 20 foot shipping container. They did a great job! 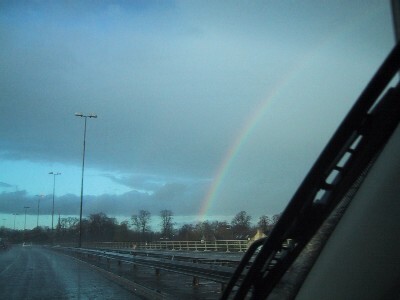 Literally, as we were driving away from Bristol for the very last time we saw this rainbow. How perfect is that?